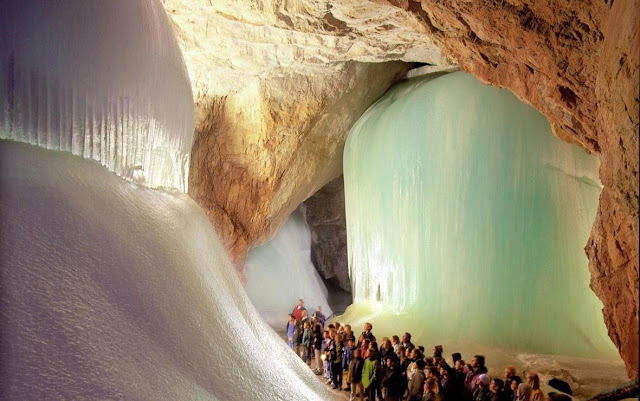 Eisriesenwelt, an ice cave located beneath the Hochkogel mountain in Styria, about 40 km south from Salzburg. Eisriesenwelt literally means 'The World of the Ice Giants' in German. Eisriesenwelt, the world’s largest ice cave extending more than 42 km, was formed by the Salzach river, which eroded passageways into beneath already-created lava or limestone caves underneath mountain. 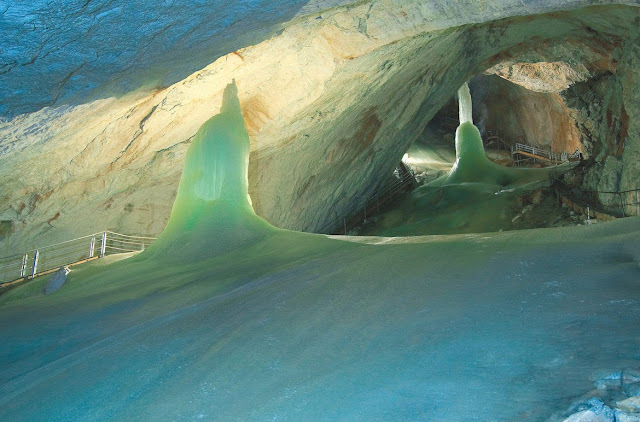 The ice formations in the cave were formed by thawing snow which drained into the cave and froze during winter. 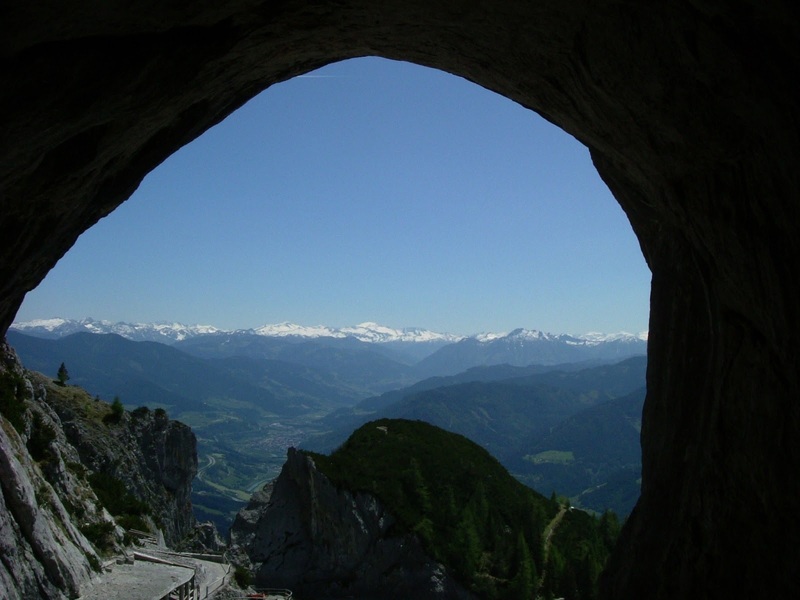 Because of its creepy reputation, Austrians didn’t explore the cave until Anton Posselt traversed its icy depths in 1879. The cave started gaining popularity with tourists in the 1920s, when the first paths up the mountain to the caves were built. Today, Eisriesenwelt hosts around 200,000 visitors each year. Tourists are allowed to visit only the first kilometer of the cave’s total 42 km.